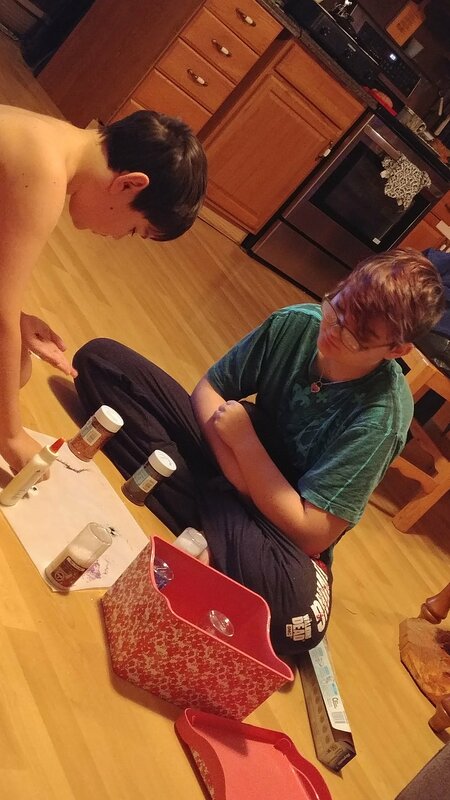 Sahara told Jake to sit down so she could teach him how to make glitter glue ornaments like Janeesa taught her when she was little. They made glue shapes on parchment paper and added glitter designs to them. Once they dry, the kids will peel them off the parchment paper and hang them on the tree (or stick them to the windows). ← I am my mother!